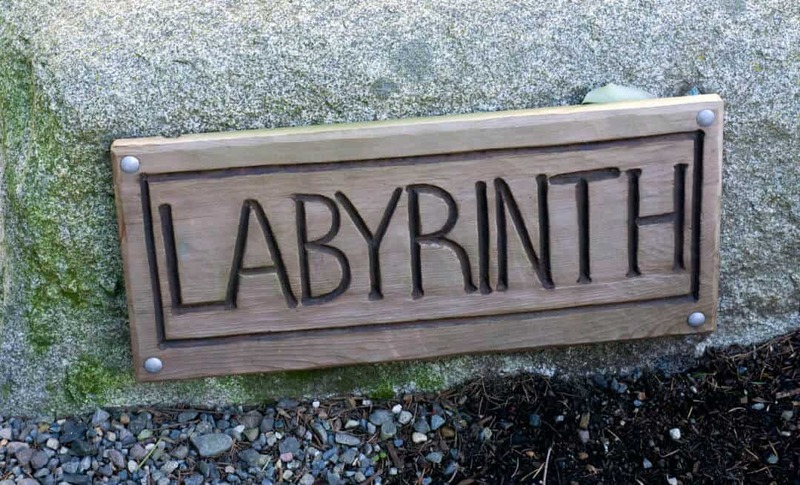 W alking the labyrinth as a meditative practice has long intrigued me. When I was in France last year, the train strike prevented me from going to Chartres on a Friday when the floor labyrinth is open for walking. 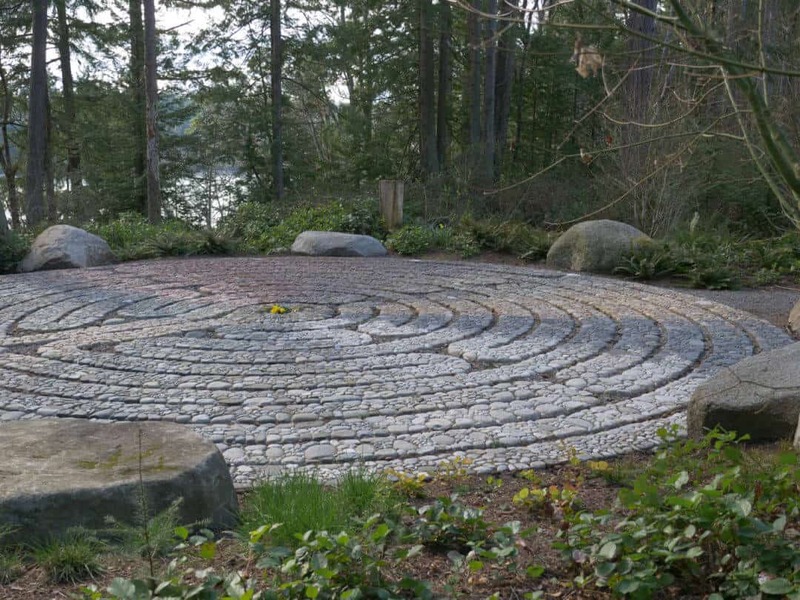 However, we have a beautiful mosaic labyrinth in a natural “cathedral” here in the Pacific Northwest on Bainbridge Island. 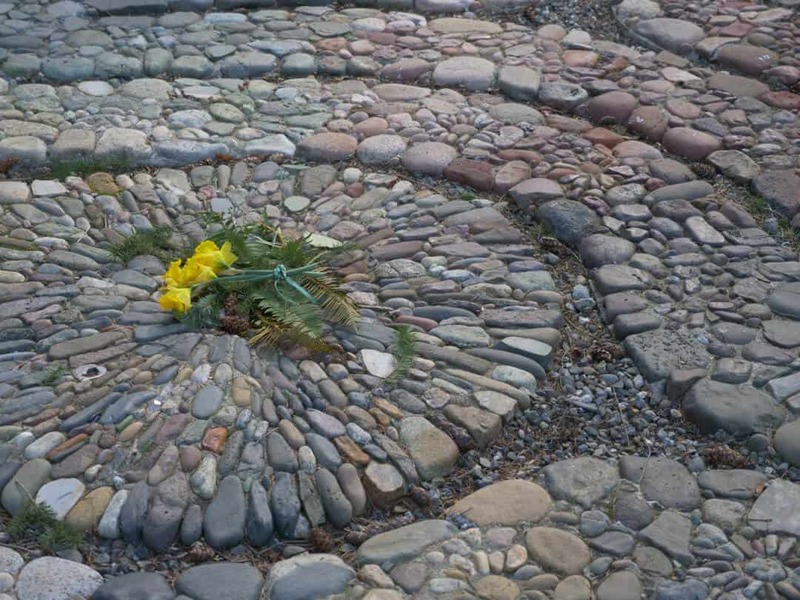 If you focus on each step, walking the labyrinth is a quieting experience. 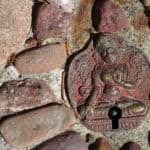 My monkey mind tends to wander off constantly and, if you find you can’t sit still, walking meditation may be what you need. Focusing on each step keeps the mind off the million little distractions of life, if only for a short time. Take a deep breath and follow the path to the center and back out. 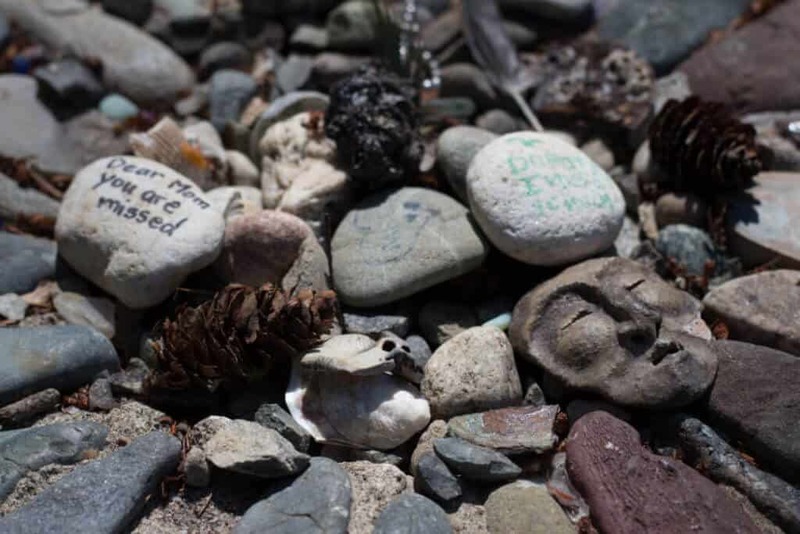 It’s customary to leave an offering at the end (or rather, the center) of your journey; flowers, a remembrance someone you’ve lost. 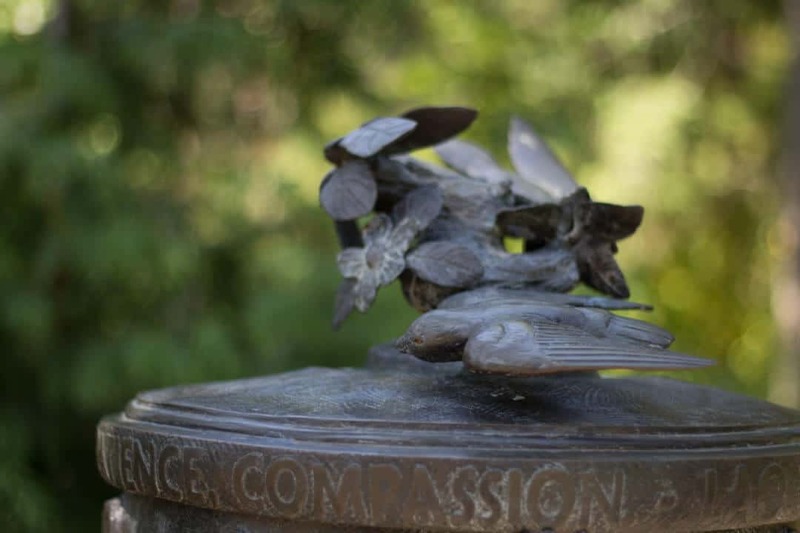 Walking can be healing during times of grief. Click book image to view on Amazon. Details in the mosaic are significant. Pick up a copy of the handout when you’re there. 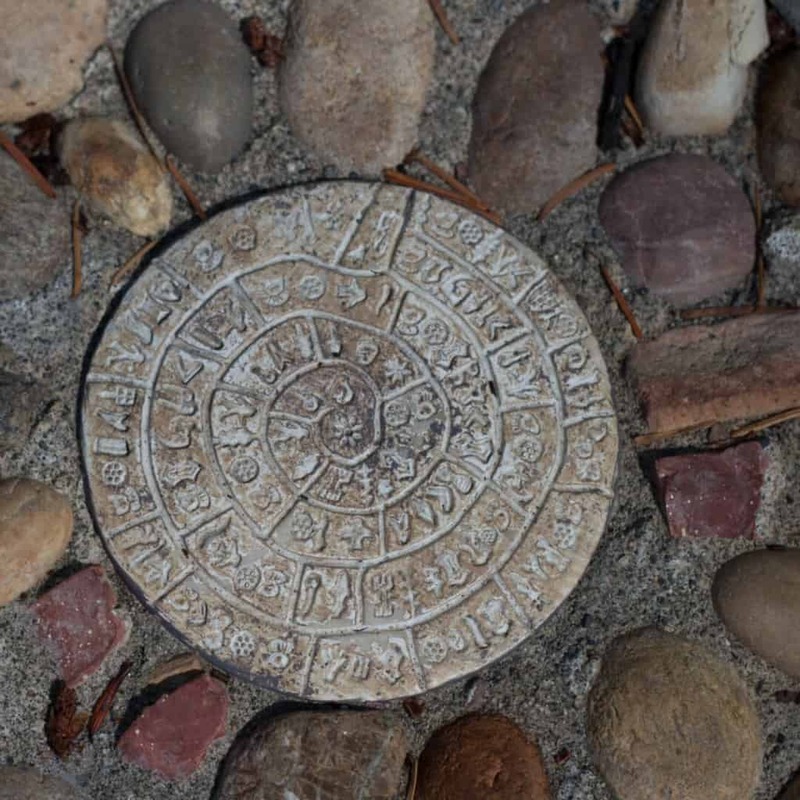 Pay attention to the details in the mosaic as you walk. 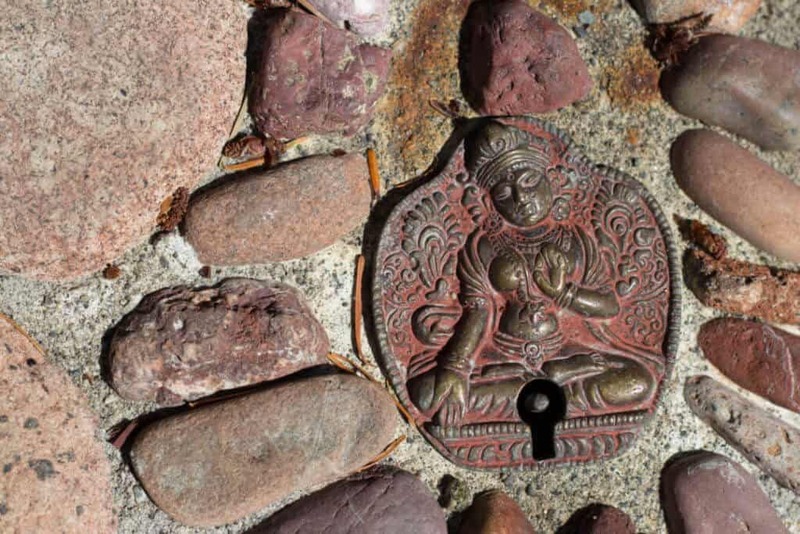 Each circuit has a special significance: one is dedicated to Neptune, another symbolizes Tibetan prayer beads and connects to the prayer wheel at the park. Spin the prayer wheel when you’ve finished your pilgrimage. The labyrinth at Halls Hill lookout was completed by Jeffrey Bale, an artist and garden designer from Portland, OR, in 2014. 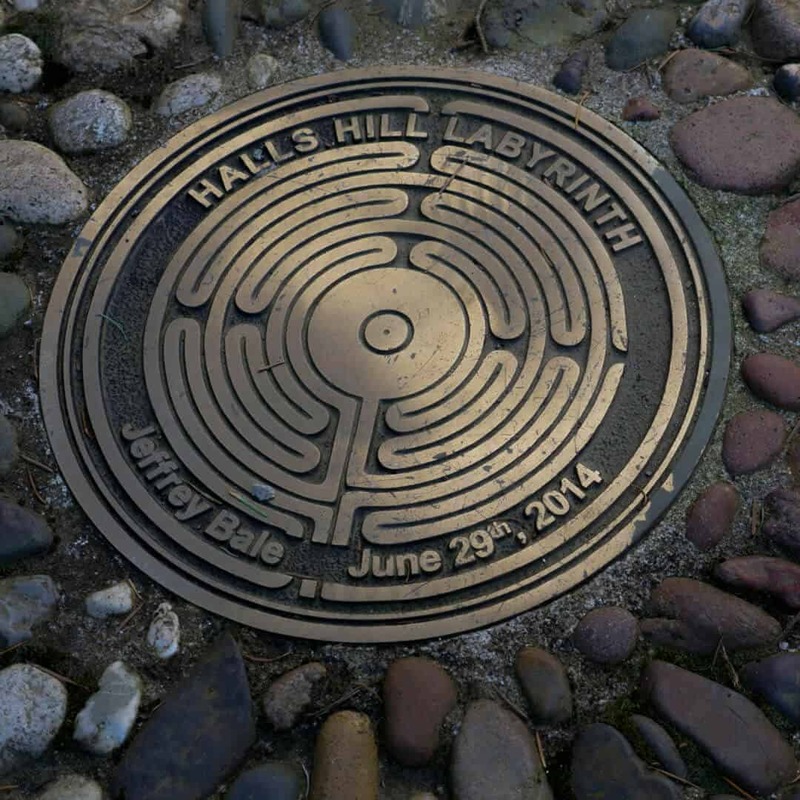 Visit his blog for the handouts from the park which go into detail about the significance of each circuit of the labyrinth and for his collection of essays about each circuit (and far more photos of the labyrinth than I’ve included in this post). 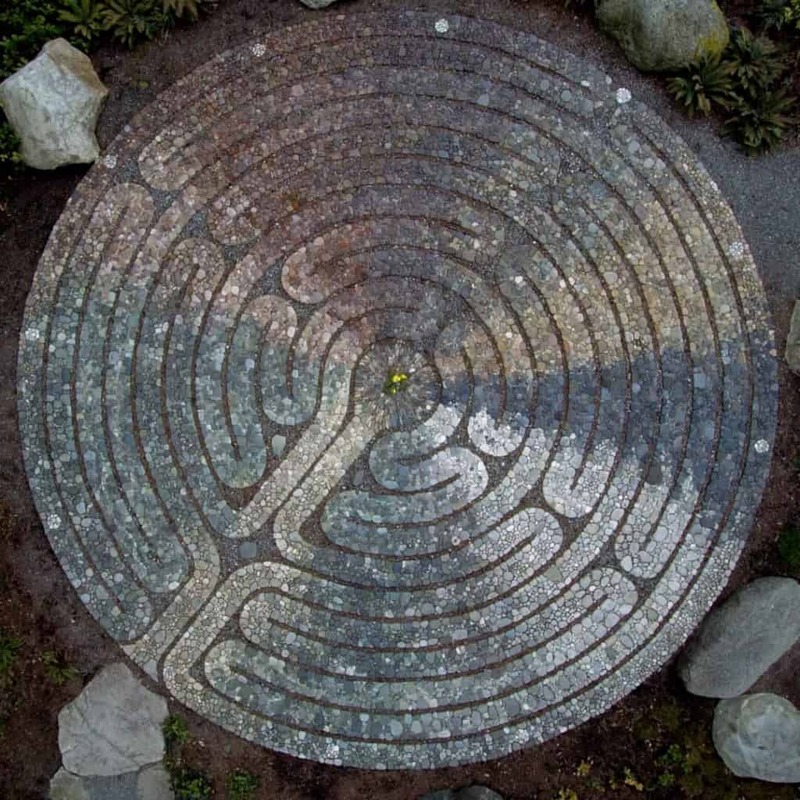 The labyrinth mosaic is located near Blakely Harbor on Bainbridge Island. If you get directions on Google Maps it’s not too hard to find. It’s located on the right hand side of the street. Parking is on the street right next to the park, but there’s usually some parking spots available. 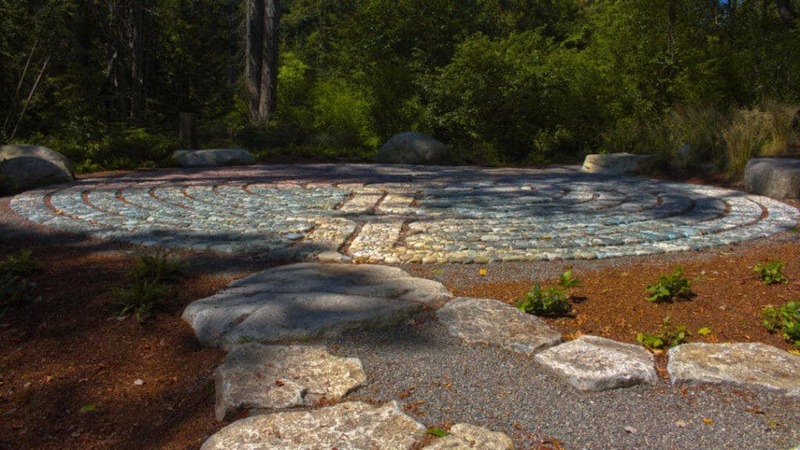 Beautiful mosaic labyrinth in quiet park area. 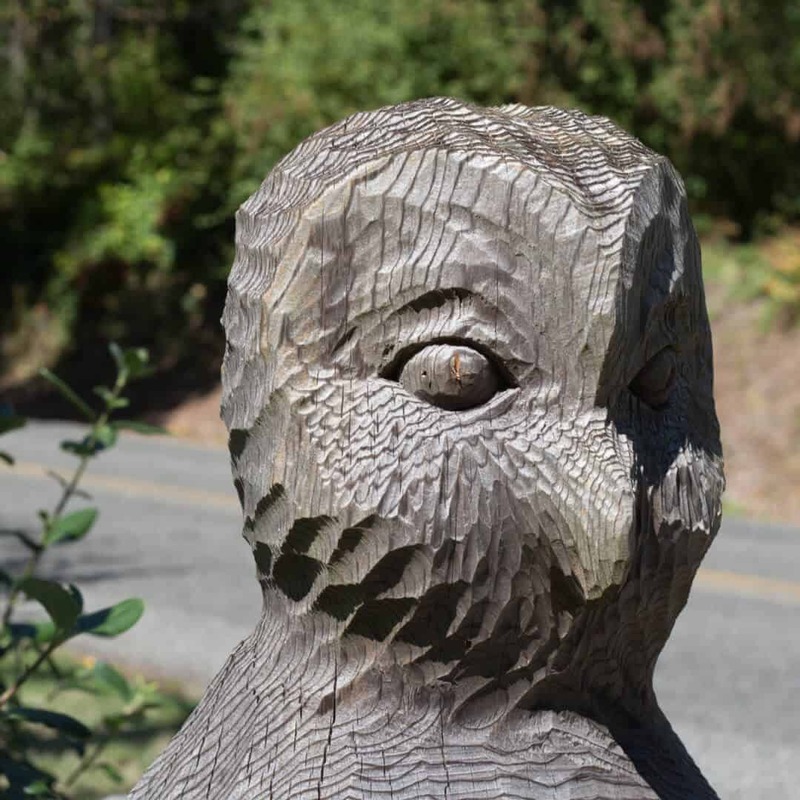 Located at Halls Hill Lookout park on NE Halls Hill Road on Bainbridge Island, WA. NextZounds! 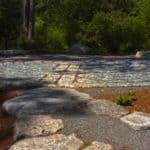 Outdoor Shakespeare Abounds Near Puget Sound!